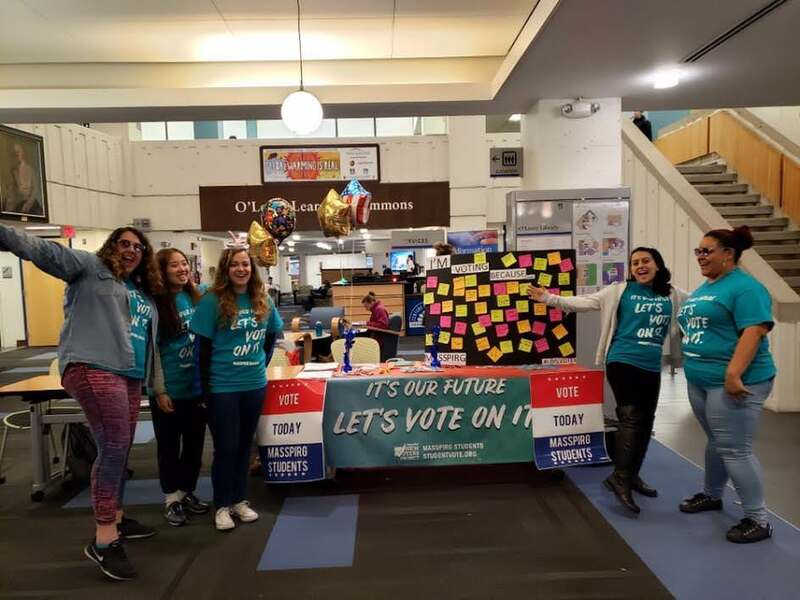 BOSTON — MASSPIRG’s campus chapters around the state helped young people in Massachusetts turn out in historically high numbers relative to previous elections to vote in yesterday’s midterm elections. Using the slogan “It’s our future, let’s vote on it!” since classes started in September, students at MASSPIRG campus chapters around the state mobilized faculty, staff, campus administrators and allied student groups in the New Voters Project to ensure that the next generation is heard at the ballot box. Students at UMass Dartmouth held a “Voto-Booth” for students to take pictures with their “I Voted” stickers. At UMass Dartmouth the Dartmouth Bible Church, where all students registered to vote at UMass Dartmouth go to cast their ballots, turnout increased 58 percent over 2014. At UMass Lowell, voting was up 48 percent and 82 percent in the two precincts where many UML Riverhawks register and vote. At Salem State University, over 500 students turned out to vote at the Enterprise Center and turnout at this location increased by 75% from 2013. Salem State President Kennan had issued a voting competition to other schools, emphasizing the importance of the election. And at UMass Amherst, five polling locations where many students vote saw a 75 percent increase in voter participation, largely fueled by a concerted and collaborative effort at UMass Amherst to mobilize the youth vote. MASSPIRG attributes increased turnout to some competitive races and intriguing ballot questions, but mostly, to a genuine belief from students that their voices and collective votes can make a difference. One Salem State student reported that she was excited to vote because it was her first election. The student described growing up with relatives in local government and hearing about the importance of voting her whole life. “Not only did she already have a plan to vote herself, she was personally escorting her friends and other students she didn’t know to the polls”, reports Salem State campus organizer Sam Giffen. “Right now, 18-29 year olds are the largest and most diverse set of potential voters alive. 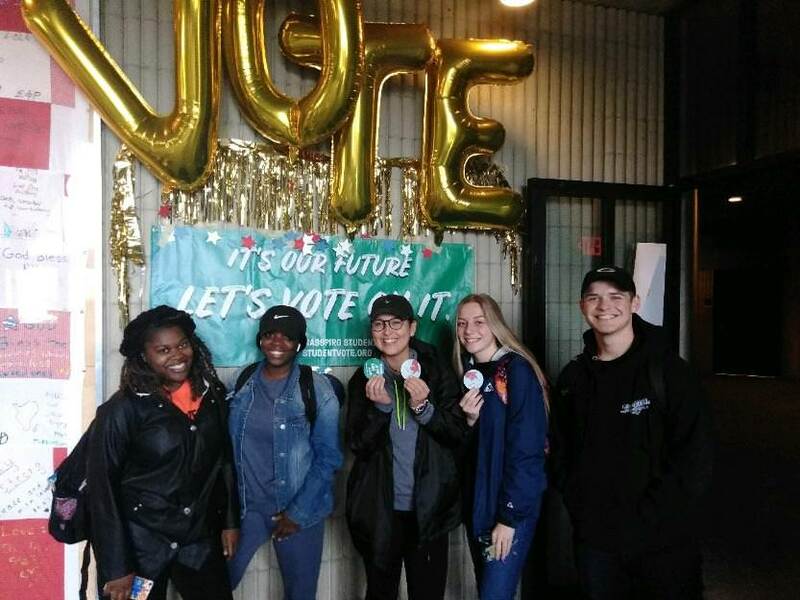 If we all voted, we could elect the leaders that share our vision of the future,” said Theresa Soldan, a Salem State junior and MASSPIRG statewide board chair, who coordinated the New Voters Project campaign at her campus. MASSPIRG’s New Voters Project campaign is a 35-year-old, non-partisan youth voter mobilization effort that helps give young voters the tools they need to participate in elections. 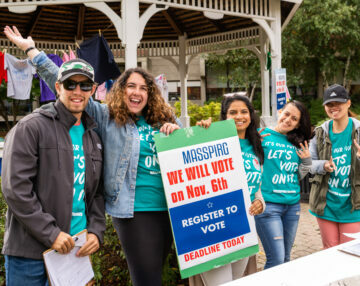 Prior to the Oct. 17 voter registrations deadline this year, over 3,500 students updated their registration with MASSPIRG volunteers on college campuses. A biannual poll of young people ages 18-29 from the Harvard Institute of Politics found that 40 percent of young people said they will “definitely vote” in this election, a substantial increase from the midterm elections in 2014 and 2010. The turnout results prove that their intentions were realized. On campuses across Massachusetts, the student volunteers and organizers made over 100,000 voter contacts throughout the entirety of our New Voters Project campaign, utilizing all forms of communication from face-to-face interactions and text messages, to announcements in classes and advertisements on Snapchat. “The biggest hesitation I’ve heard from students is that they don’t feel educated enough about politics, and that’s why they don’t vote. After having a conversation with them about why their voice will be heard and giving them non-partisan resources, they feel more confident and ready to vote,” said Anusauskas. 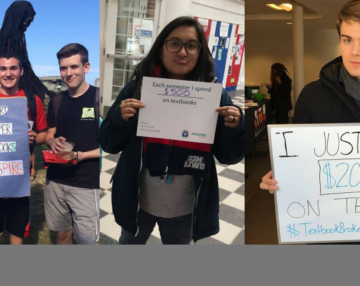 In the few months leading up to the elections, MASSPIRG set out to help register thousands of students and make tens of thousands of ongoing voter contacts to make sure students turned their record high interest in the elections in to record high turnout. The turnout results speak for themselves, but these students won’t let anyone but themselves speak for their future. 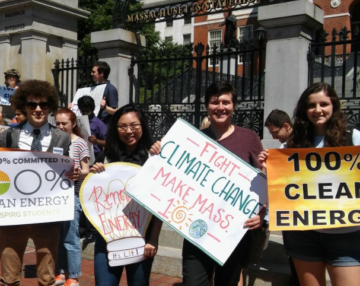 MASSPIRG is a statewide, student-funded, student-directed, nonpartisan nonprofit that organizes college students to take action on issues they care about. The Student PIRG’s New Voters Project is one of the largest on-the-ground, non-partisan, youth voter mobilization campaigns in the country. Over the past 30 years, we have helped to register more than 1.9 million young people and make millions of get-out-the-vote reminders. UMass Lowell students held “I’m Voting Because” event and gave students information on polling locations.